I enjoyed working with blue for this edition of What's It To Hue? 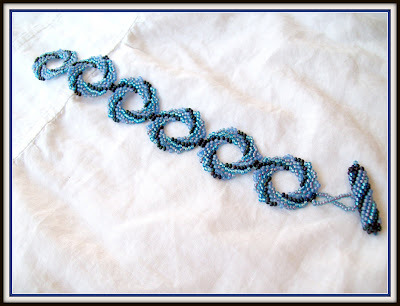 I picked up this pattern ether in a recent Beadwork or Bead & Button. It was really easy to put together these circular peyote discs. You should give it a try! And I went back to one of my old favorites - the St. Petersburg stitch for this one. I loved these A/B finished matte magatamas. 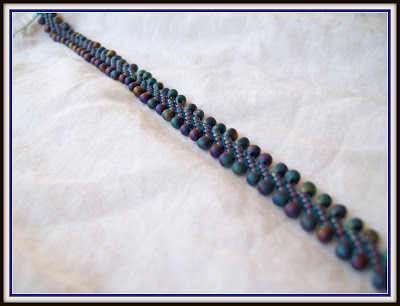 And the pink lined blue beads are so pretty! 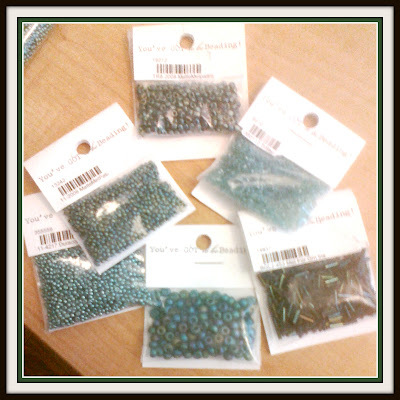 In other news - I received the sweetest treat in the mail over the weekend - a collection of seed beads!!! A birthday present from my best friend! What beading fanatic doesn't LOVE a present like that! 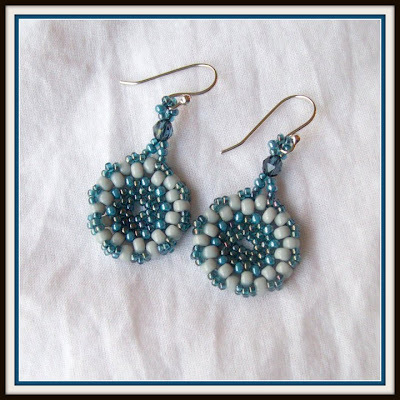 Love those pieces! Great job.